Everyone loves cupcakes! I know we do! This Saturday, Cake Doubles is doing their 1st ever event called “The Cupcake Cure”. Its to help raise money for the Susan Komen Foundation. So be at SF2 South from 7-10pm and support a good cause. 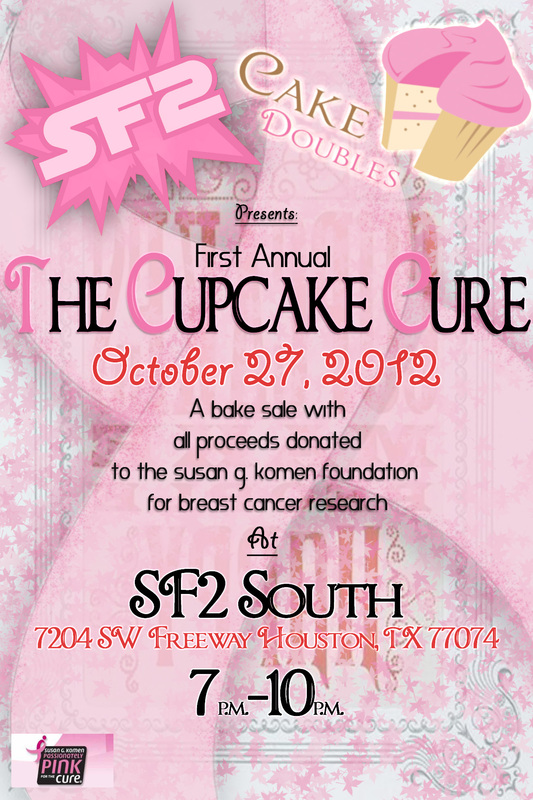 And stuff your face with as many cupcakes as you can handle while helping raise awareness and money for the cure!